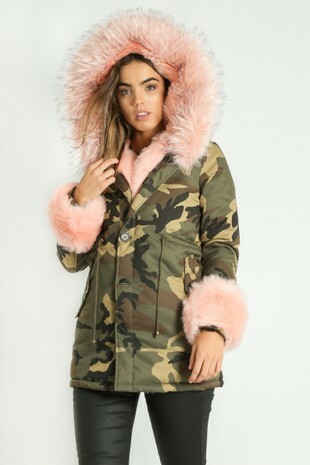 For the perfect pink parka look no further. 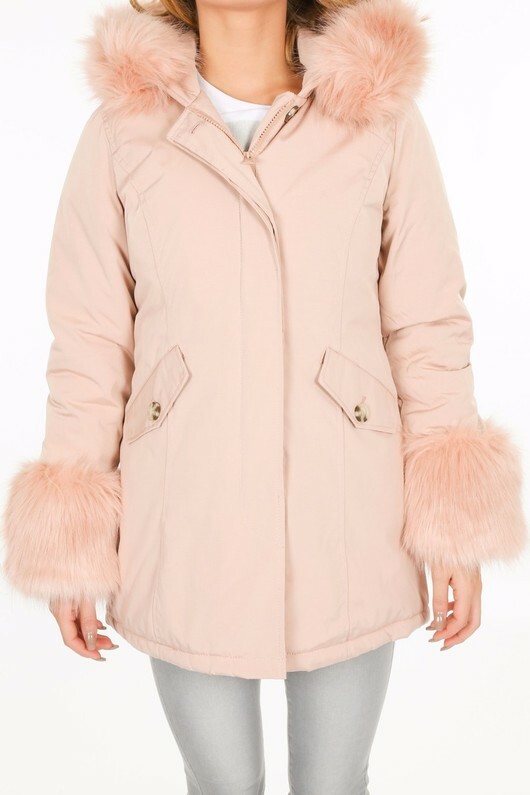 This cute pastel pink coat with faux fur trims will have you feeling cosy and looking pretty this cold season. 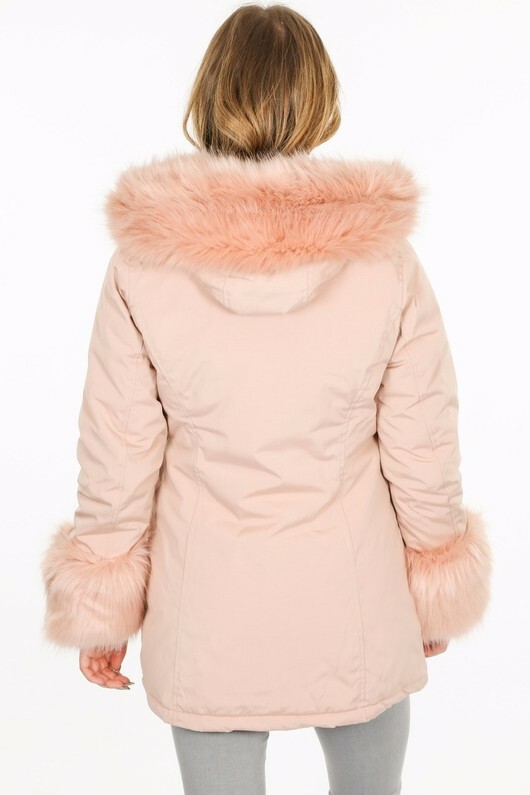 Our high-quality parka is also available without the cuff detail.